For the first time in two decades tens of thousands of people protest Bouteflika. The 81-year-old president is ready to stand for a fifth term. The support of religious leaders opposed to protests in the name of stability and the dictates of Islam. The Imam Network in Support of Leadership. I have always said that "I am not frightened by Islamic [extremism], but official Islam". Obviously, my thoughts may seem cryptic because if misinterpreted. In fact, my arguments were solid, built and based on my personal experience and my observations. If Islamism as a minority ideology in the Muslim world aspires to the creation of the Caliphate, official Islam remains an essential engine that fosters not only the stagnation of Muslim theology in all its ritual and cultural components, but also operates in the context of Muslim majority. This point of view that I still defend today, is coming to the fore in what is happening in Algeria. First of all, this country deserves to be taken into consideration because it has just rebelled against a political regime that has kept it in a grip for twenty years. 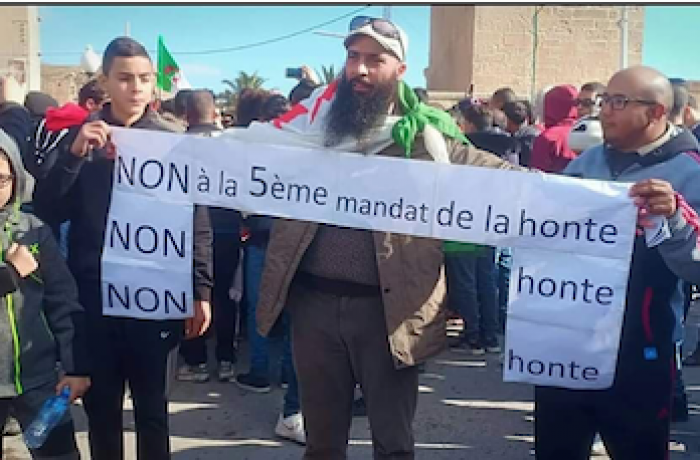 After the announcement of Bouteflika's candidature for his succession, appeals against this absurd decision multiplied erupting in protest on 22 February 2019, after Friday prayer. The regime did not hesitate to resort to one of its pillars to try to prevent the people from expressing their dissatisfaction: the imams. The latter were instructed to hold Friday prayers invoking peace and stability. In reality, they speak of a stability that can be observed only among those who govern, because the country seems to fall further into poverty with each passing day. To put it differently, a rich nation but a poor people. Imams, as state officials and as representatives of official Islam, based themselves on apocryphal religious texts that prohibit "demonstrating against the government" (1) and have incited the same Salafists to launch appeals on the web focused on the importance of respect for the president. To clarify the concept a little, one must know that these apocryphal texts of a political nature are invented and imposed by the Umayyad and Abbasid caliphs, with the aim of paralyzing their societies. In fact, they reinforce their dictatorship through false religious texts, because that was the era in which the Hadiths were written, sayings and anecdotes about the life of the Prophet Muhammad. Nevertheless, the wind sometimes blows in unexpected directions! 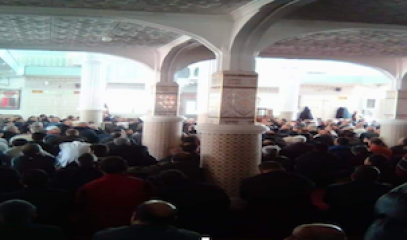 In Algeria, the faithful refused to continue Friday prayers. This is the case, for example, of the great "al-Kawthar" mosque in Bejaia - a department located about 250 km east of Algiers - and of other mosques scattered throughout the country. There were at least three million Algerians who went out on the streets to protest against the fifth term of Bouteflika, unable to speak and go against the mafia system that governs and maintains power. To return to the idea of ​​official Islam, this religion has always been a means of keeping the population in ignorance. This static Islam contributes to the spread of Islamism in its peaceful and obedient form to the system of power, as well as being one of the branches of Salafism exported from Saudi Arabia and that Algeria had never known before. They were used against the Muslim Brotherhood, hostile to the regimes of the Arab dictatorships, as well as the secular opposition movements. Algeria has been living under the Bouteflika regime for twenty years who hasn’t spoken to the people publically since he suffered a stroke in 2013. Today, the regime tries to impose itself using, among other things, an official Islam in favor of sacred ignorance, hostile to religious and ethnic minorities with the purpose of separating the Algerian from the rest of the world and keeping him docile. In conclusion, ignorance and religious fundamentalism in all its forms are blessed by the dictatorship in Algeria and we cannot rule out a return to fundamentalism in its most violent form: terrorism. Question: "Are the demonstrations a legal route for proselytism (da'wa)?" Answer: "Praise to Allah, Lord of the universe, prayers and blessings on our Prophet Muhammad, his family and his companions and those who follow them in love until the day of resurrection. He said: demonstrations are inventions, because none of this was known either at the time of the comrades, nor that of the well-guided caliphs or of the companions after them. They cause problems and disorder, which is why they are forbidden. (During the demonstrations) windows, doors and other things are broken, men mix with women, old people and young people, and other bad things happen. As for putting pressure on the authorities, if there is a Muslim authority it is sufficient to solicit the word of Allah and the Sunna of his Prophet (sallallahu 'alaihi wa sallam), and this is a good that is offered to Muslims; if he is a disbelieving ruler, he will give no consideration to these demonstrators. Apparently, he will treat them with courtesy, but in reality he hides his aversion. That's why we believe that demonstrations are a factor to blame. As for those who say that the demonstrations are peaceful, it may well be that this is true in the early stages or the first time, but later they turn out to be destructive. I therefore advise young people to follow the voice of the Salafites, because Allah has praised the Muhajirins, the Ansar and those who have followed them in charity.